Discussion in 'Fishing Chatter = anything to do with fishing' started by adallas, Apr 9, 2019. What month is the Best night time Mangrove month? Also do they ever move to the shallower reefs if so what months. I have never caught a mangrove offshore out of Ponce. Not sure what I am doing wrong. I am mostly drifting. I could use any advice. you can find Mano's around any structure... inshore they start around July. I havent really targeted them off shore. What is a good water depth. I have 21 foot boat and typically fish party grounds and in closer. Have been out to mango hole and 1800 rock just not sure best depths. Thank you. I've caught a few good ones in 90 ft but have seen them shallower and deeper. Think folks use too big of bait and hooks. A 4/0 circle and grunt plug will catch plenty. 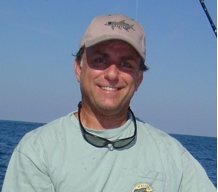 I catch them mostly on natural bottom but I pull several around the artificial reefs too. I always fish for them with the same rig. 4-8 oz weight depending on current, 7-8' of 50# floro leader, 5/0 circle. Bait of choice is grunt chunks. Most of my fishing is between 65-75'. You don't have to run deep to find them. Live bottom or Artificial Wrecks? Live bottom is by far the biggest producer for me but I do get several from artificial structures. Just curious if your main line is braid. On the rod I usually target them with I have 80# mono. great table fair, specially under 15"
I run 50 or 65# braid with 60# topshot and 40# leader for grovers. May drop to 30# if the fish are small or being picky. I do chum but not with a chum block, throw a handful of chunks or small bait fish a time or two and see if any come up to eat them. Fun fishing for them up top. I've heard folks say not to use menhaden-based chum cause it pulls the sharks. That's your standard chum block. We often get kings in the chum with the snappers. They like pieces of fish too.